The Sarasota Ski-A-Rees are available for hire for almost any type of event that you can think of. We can create and modify entertainment tailored especially for your unique occasion. Interested in having the Ski-A-Rees make your function one-of-a-kind? Great! We would love to make your event over-the-top! We are available for events at our own site or can travel to your local body of water. 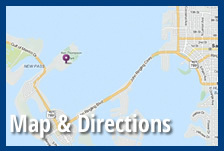 We can travel within the Sarasota area, within the state of Florida, nationwide, and even international travel can be accommodated. What are you waiting for? Contact us today so that we can make your special occasion memorable, extravagant, and completely unique. To contact us by phone, please call (941) 388-1666. You can find our ski show location by clicking here.